Velindre Cancer Centre (Cardiff, Wales, U.K.) has awarded Elekta with a multiple Elekta Synergy® order, bringing the department’s installation to four. 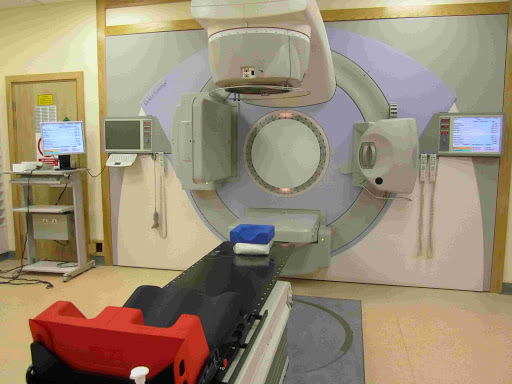 All four systems will be used to facilitate Volumetric Modulated Arc Therapy (VMAT), a treatment technique that offers shorter treatment times while providing more precise control of the radiation dose to maximize safety to nearby normal tissues. This latest order will see the replacement of existing third party vendor equipment together with implementing MOSAIQ® as the sole patient information system. Velindre Cancer Centre is the largest oncology Centre in Wales, and only provider of non-surgical cancer services to the 1.5 million people in South East Wales. A comprehensive cancer treatment Centre, Velindre treats approximately 65,000 inpatients and 35,000 outpatients a year for all types of cancer. Velindre assembled a panel of physicians, radiotherapists, physicists and the Centre’s purchasing group to research possible treatment systems, and Elekta Synergy again emerged as the best choice. The purchase of the new Elekta Synergy systems also include MOSAIQ management information system, MOSAIQ Oncology PACS , Monaco® radiation treatment planning system and Active Breathing Coordinator™. ”We used MOSAIQ with the other vendor’s equipment, and expect the transition to Elekta Synergy with MOSAIQ to be very smooth,” said Mr. Cridland. “The addition of Active Breathing Coordinator also should help tremendously in our treatment of breast and lung patients.” Monaco * will be used for planning VMAT treatments on Elekta Synergy. The new Elekta Synergy systems will be installed at Velindre in late autumn, 2009. Elekta is a human care company pioneering significant innovations and clinical solutions for treating cancer and brain disorders. The company develops sophisticated, state-of-the-art tools and treatment planning systems for radiation therapy and radiosurgery, as well as workflow enhancing software systems across the spectrum of cancer care. Elekta employs around 2,500 employees globally. The corporate headquarter is located in Stockholm, Sweden, and the company is listed on the Nordic Exchange under the ticker EKTAb. Also see >RADIO THERAPY< in the right sidebar for more information. You may find the TABS >MEDICAL LINKS< and also >CANCER LINKS< of help. . YOU are welcome to call me if you believe I can help in ANY way. . This entry was posted in LinAc, Linear Accelerator, Radiation therapy, Radio Therapy, Velindre. Bookmark the permalink.